NETWORKS: Are you needing assistance setting up or troubleshooting your network? We can help! A highly trained network technician will set up a network specifically designed to fit your organization’s needs. At Advantage Computer Enterprises, Inc, our technicians have over 140 combined years of experience and can provide you with the expertise necessary to resolve your most complex network issues. However, it’s our personal touch, attention to detail, and competitive prices that keep our clients happy and their networks healthy. We can set up local and WAN (wide area network) connections. Our certified and highly trained personnel can set up networking for an organization ranging in size from small locally owned businesses to major municipalities. Our WAN networks work especially well for people wanting to link together multiple buildings or locations to the same network. We can do this by point-to-point connections, T1, MPLS, or secure wireless. This works great for businesses needing instant and reliable connections. Such as banks with branch locations. We also offer network troubleshooting and support. We don’t just set up your network and leave you on your own; we’re there if you have questions or issues with your network functions. In addition to putting your network in place, we also offer consultation regardless of whether you purchase your network from us. A trained networking technician will come to your location and make recommendations as to what networking options or improvements would work best for your organization based on size and need. PCs: Custom built to meet your needs so you don’t pay for something you don’t need. After being frustrated with hardware failures and poor service experiences with other “name brand” computers, our technical service division (Advantage Computer) decided to start building our own computers. To insure the best quality and service available, we select only top quality components and thoroughly test every system before it leaves our building. Advantage built PCs give you the advantage with durable hardware, dependable software, and an experienced support staff. No matter what you do: office work, homework, or gaming we can deliver a system to suit your needs. We also offer the new Windows 7 and Windows 8. In addition to customization and future reliability, purchasing your computer from us also provides you with the added bonus of having your software already installed and setup properly on your PC. 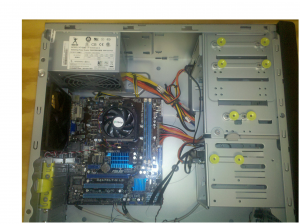 As soon as you take it out of the box, plug it all in, and turn it on, your PC will be ready to work. When you call us about buying a computer, you will be talking to a “computer expert” who will be familiar with what you need your computer to do. And since we build them from the ground up, we can put together exactly what you need. Whether you need 1 or 100 computers, you will get the attention and quality you deserve. We also service all brands of PCs in-house. You bring your PC to us and we fix it right here and get it right back to you. No shipping your computer off, no long waits with “box computer” IT departments. Our laptops offer you added portability and space-saving features with the same customization abilities as our PCs. And with over 30 years experience in the computer business, we deliver a product you can trust. Servers: Custom built servers to fit your individual company needs. As explained above for computers, we take a similar approach for network servers. They are custom built by us for your organization. We can build “stand-alone” servers or the popular “rack-mount” servers to meet your network specifications. We have Microsoft Certified personnel handling the technicalities involved with building and setting up servers. As well as Microsoft experience, our staff also includes technicians with Linux, Unix and Novell expertise to provide very knowledgeable support and service assistance. 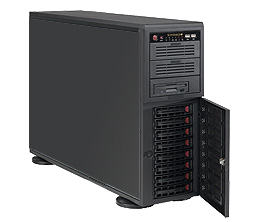 We offer a full range of servers to handle the most demanding jobs. Covering everything from simple shared storage to high performance SQL servers. When you purchase a server with Advantage Computer Enterprises, Inc. you also have the option of being put in the pool. That means we keep a server and all the parts, just like yours, so should you ever have an issue, we can fix it right then. You don’t have to wait for ordered parts to come in. That means less down time for your organization and peace of mind knowing that repairs will be made quickly. Advantage servers can help drive your business into the future. 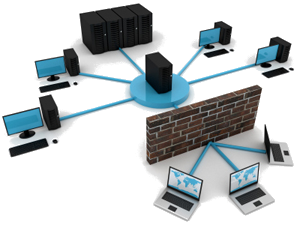 If you are purchasing new computers (workstations) to connect to your new network server, we also provide a complete out-of-the-box network solution. Your purchase can include all the network switches/routers, cables, etc. (even printers) that you will need to simply remove everything from the boxes, plug it all in, and turn everything on, and begin working. All the network settings, connectivity, sharing and security will already be setup to your specifications.